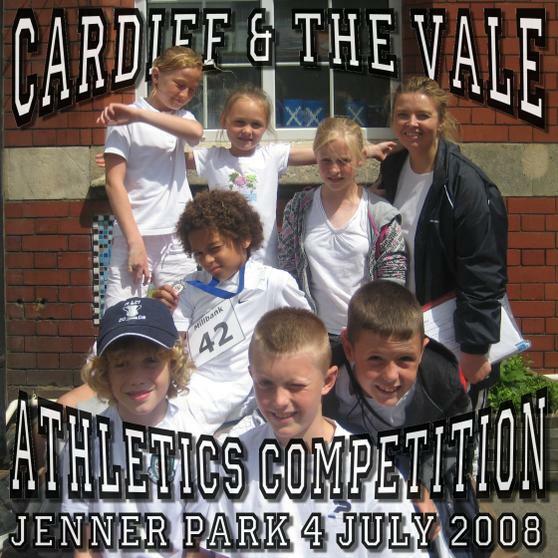 Mrs Morgan our PE co-ordinator has only just returned to school after her maternity leave, but still managed to take us to Cardiff and Vale Athletics competition. 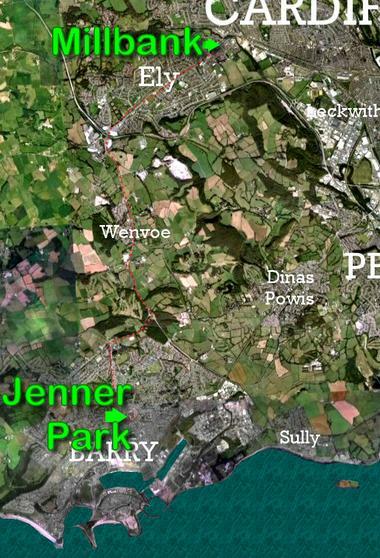 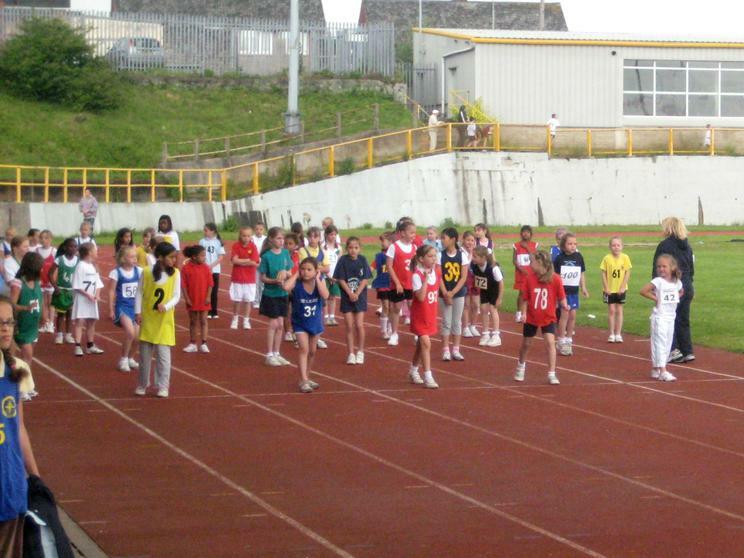 This year it was held at Jenner Park the home of Barry Town football club as the usual venue at Leckwith is being rebuilt. 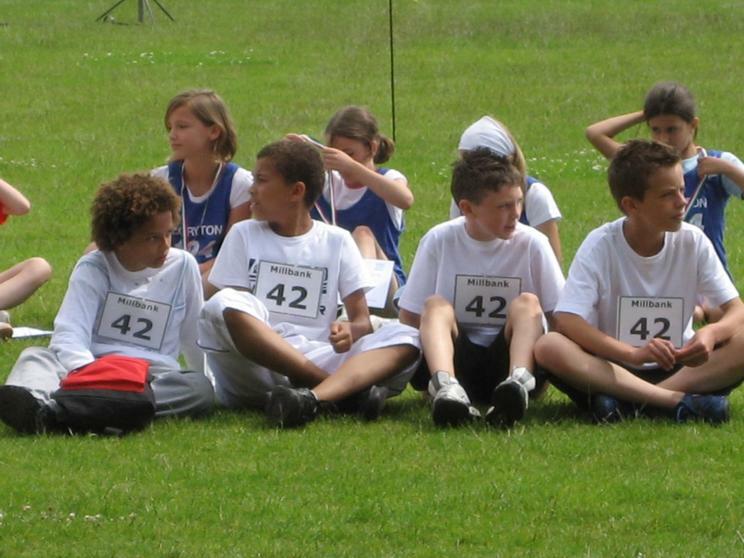 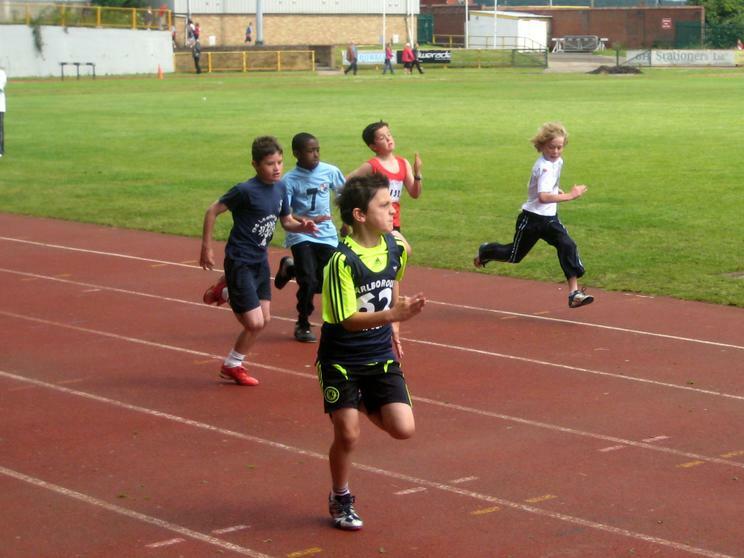 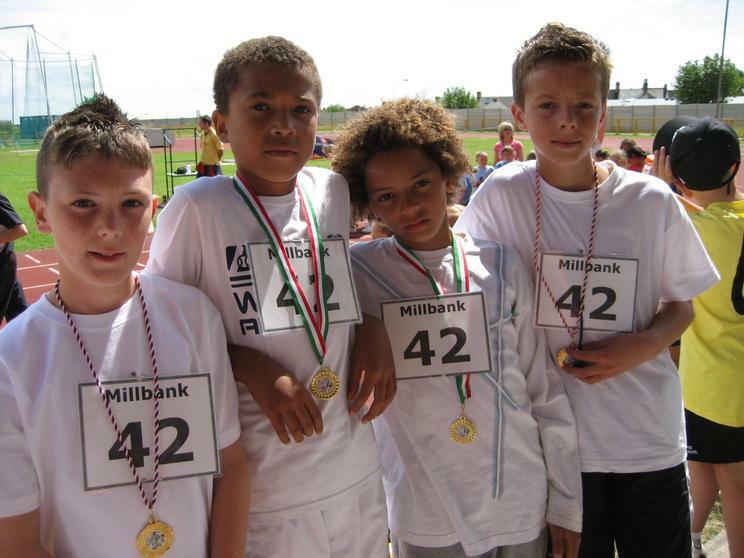 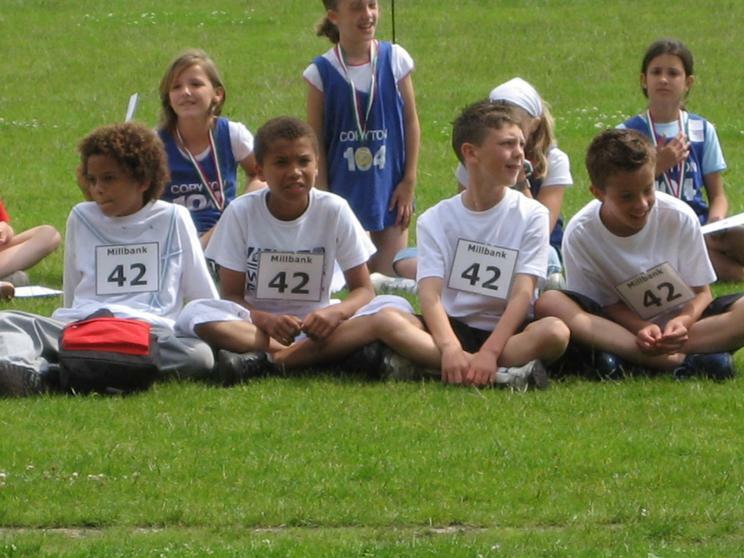 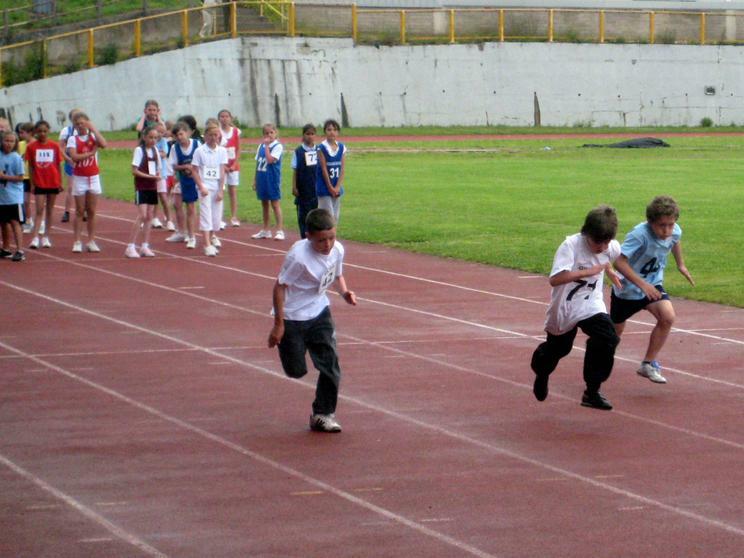 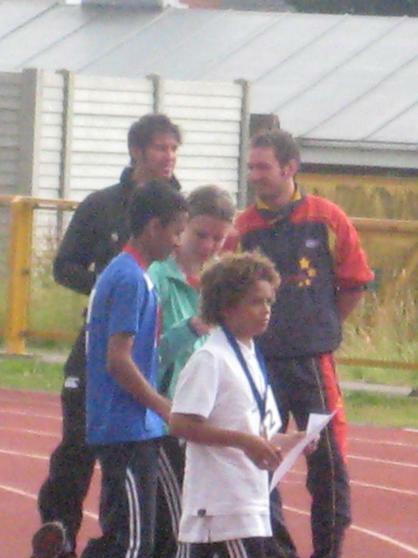 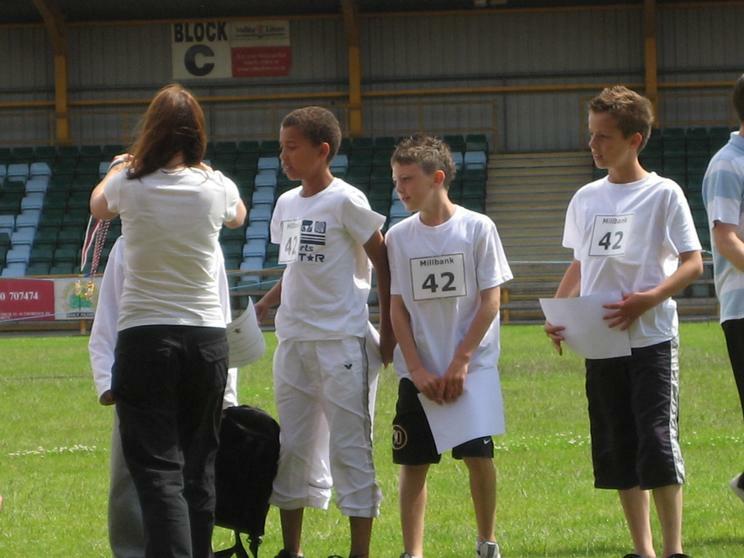 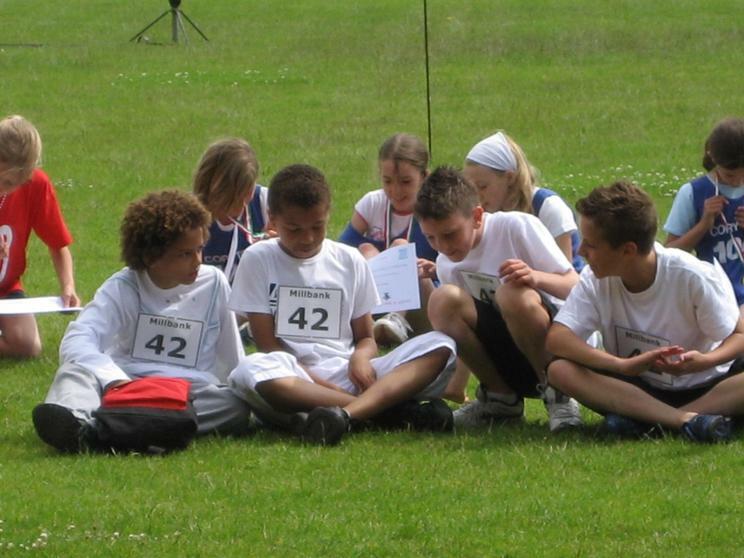 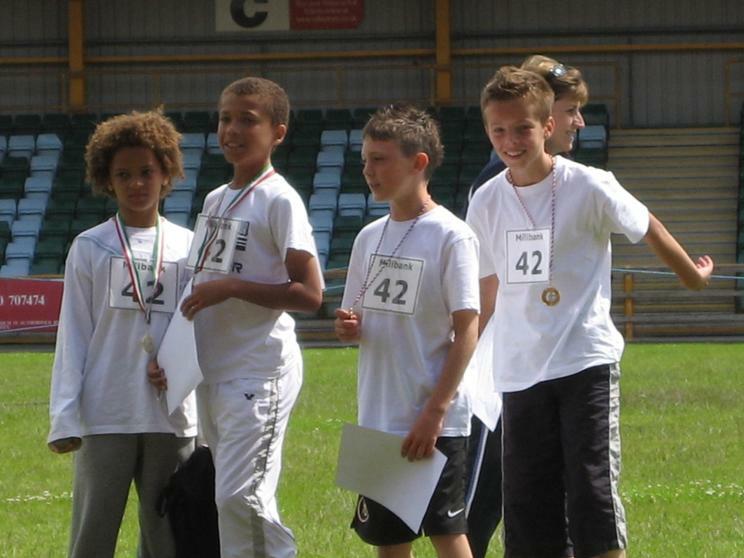 The boys did really well and won the relay race, and one of them came second in the year 6 sprint. 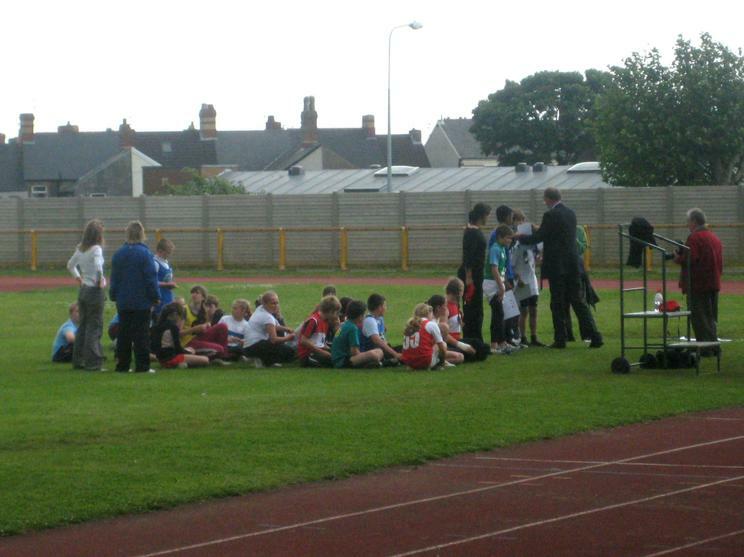 But everyone enjoyed the wonderful experience of taking part against such tough competition. 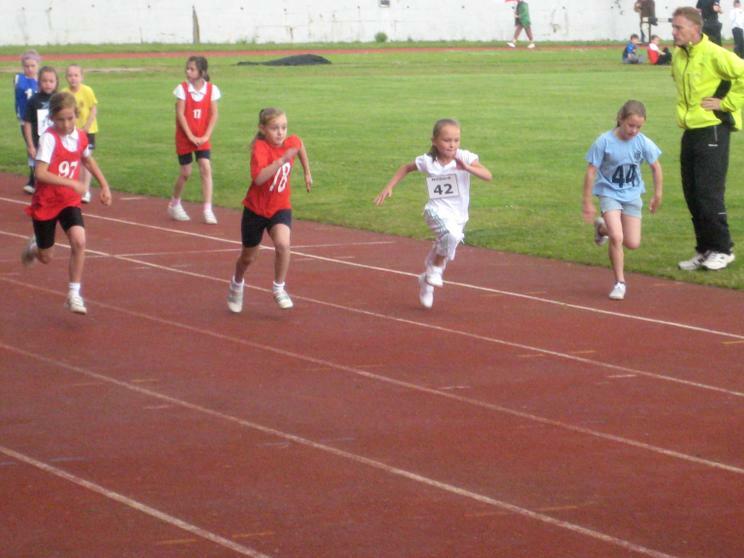 But the main thing is that everyone tried their hardest. 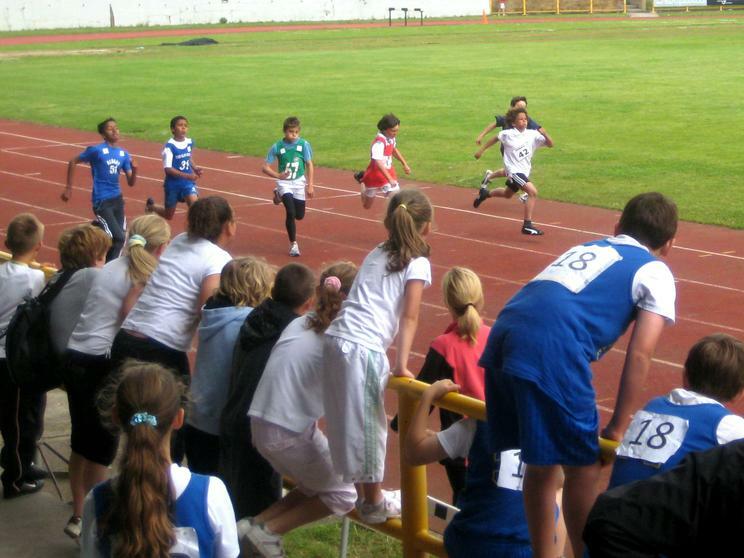 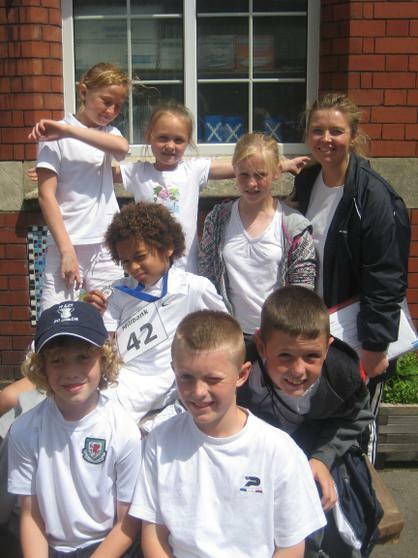 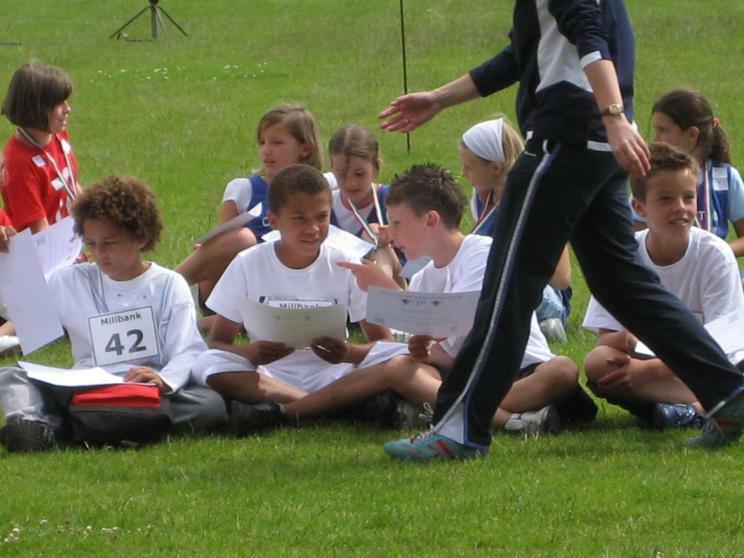 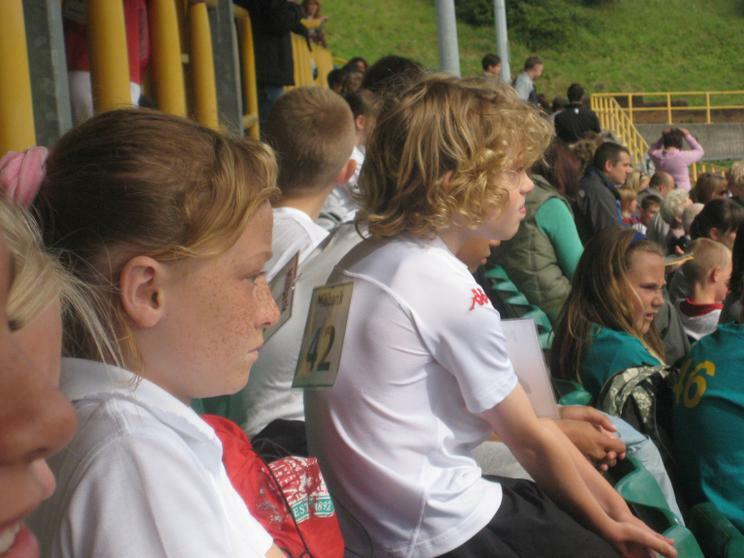 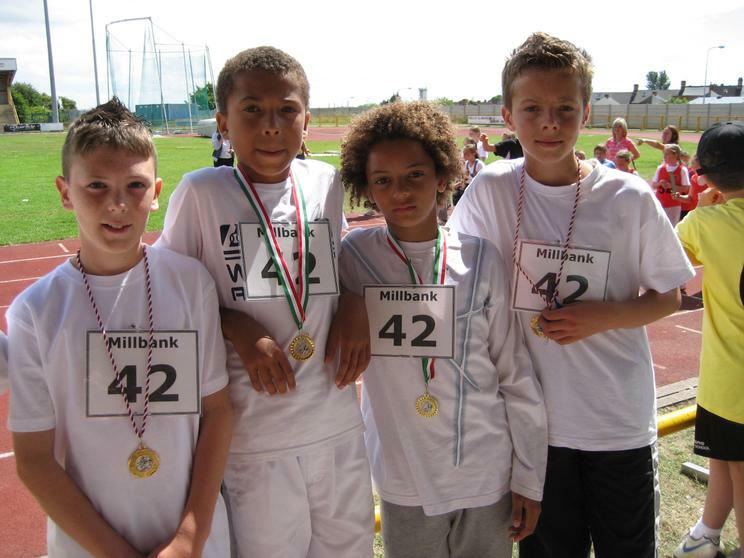 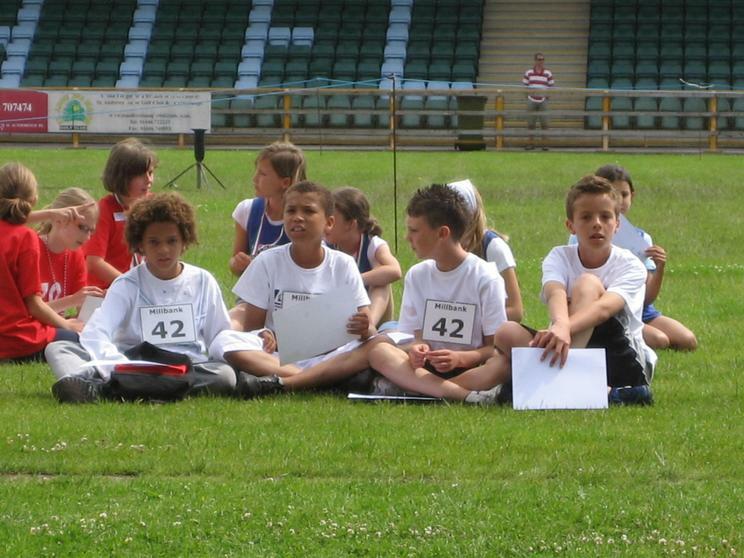 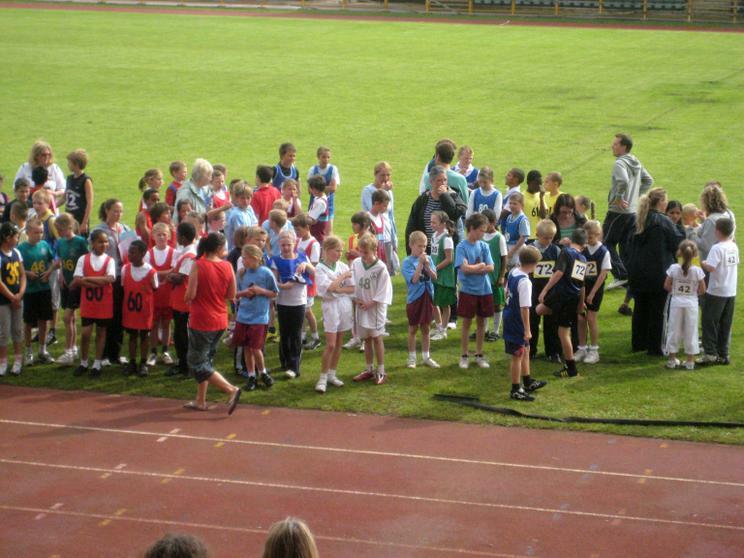 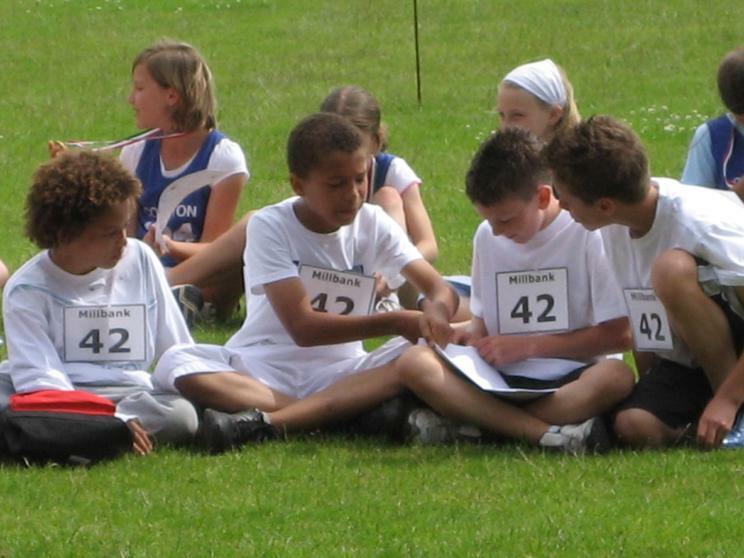 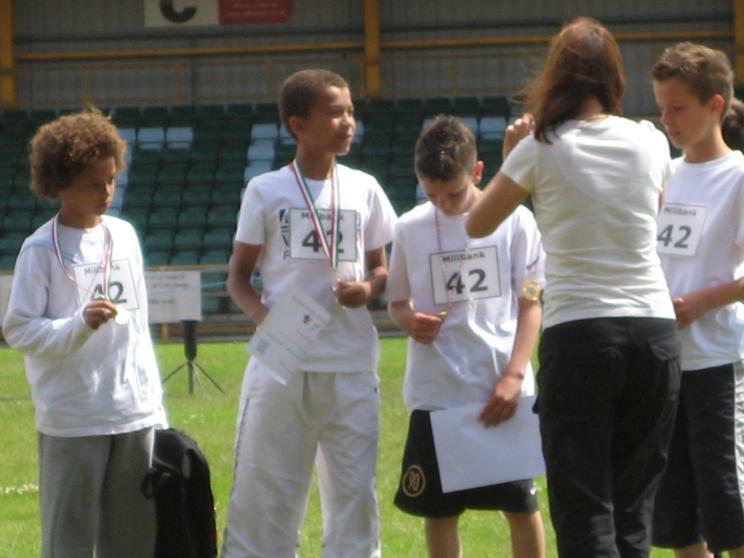 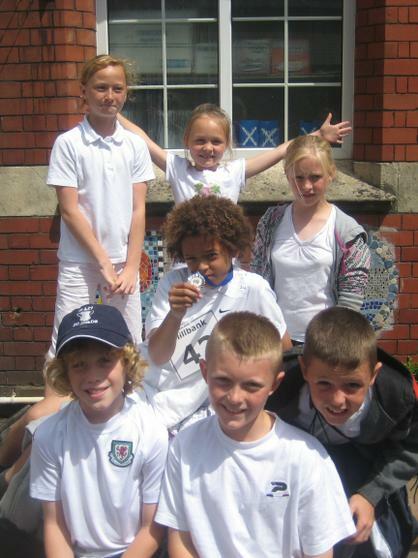 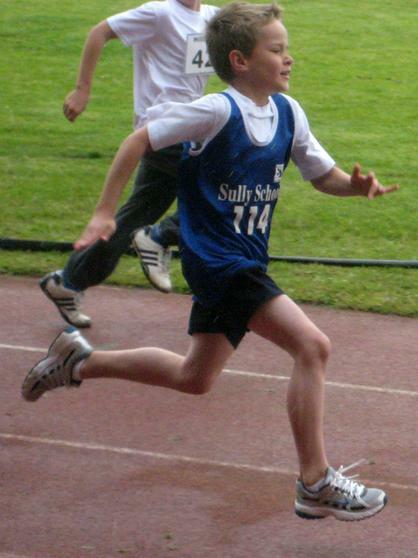 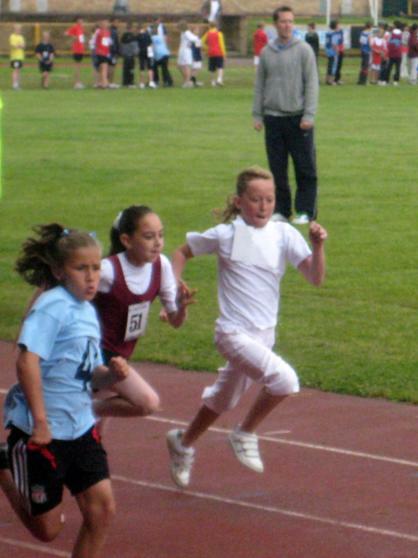 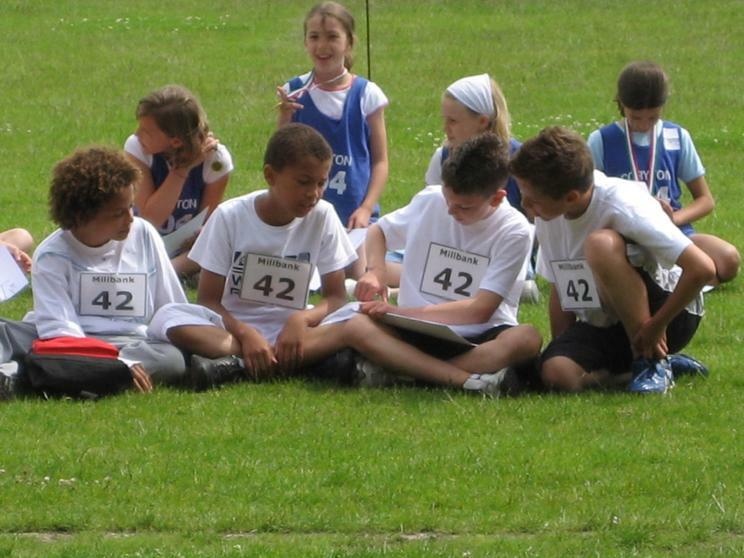 "Primary schools in Cardiff and the Vale of Glamorgan strived to achieve personal best and local records in the Cardiff and Vale Athletics competition. 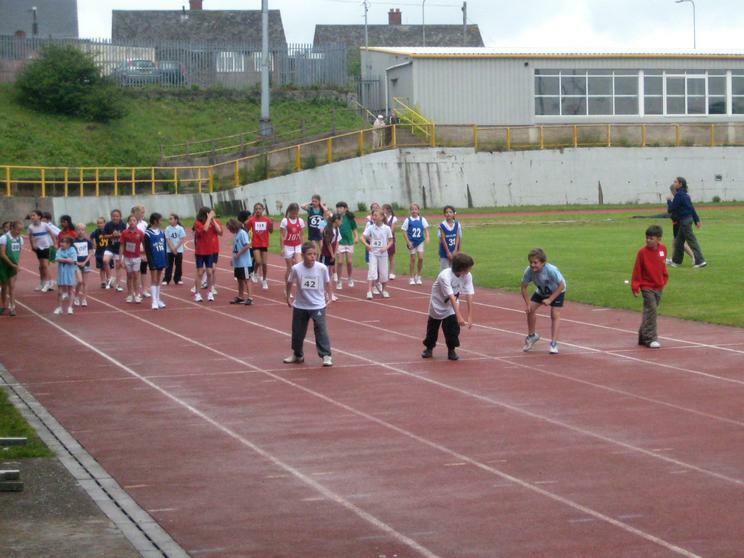 Organised by the Sports Development Unit at the Vale of Glamorgan Council and Bethan Frost, PE Advisor for Cardiff Council, the athletics extravaganza was sponsored by 'New Directions Education'.